Last Monday we began our orbit of the Food-Styling Galaxy with this post. 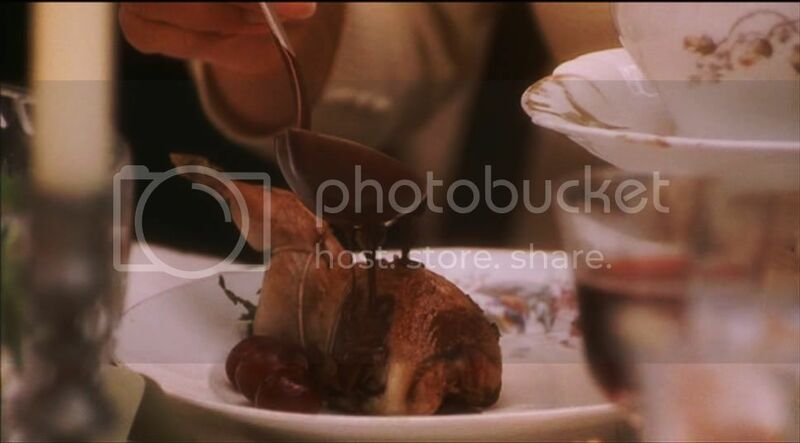 But for now we're asking what is the metaphysical role of food in film? How can it be used to convey, on the one hand, the subtle expressions of social class, and on the other, the most explosive of passions? Such thoughts consumed me as I began researching the world of food styling for my newest fiction project. Other questions rapidly followed: What are the practical problems of cooking and presenting food for the camera? 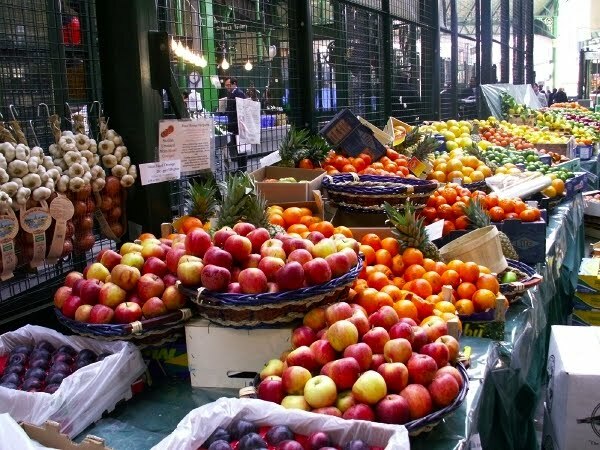 And how can the arrangement and the color of the food contribute to the story's atmosphere and emotional setting? Bonnie Belknap was one of the food stylists for Hook. 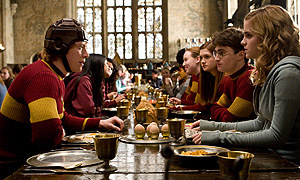 Breakfast Scene in the Half-Blood Prince and a review of the behind the scenes food foibles. While I don't have the skill set to excel in food styling, I admire those who do. On Monday I'll share a list of my favorite stylists and links to their work. It is sure to amaze you!